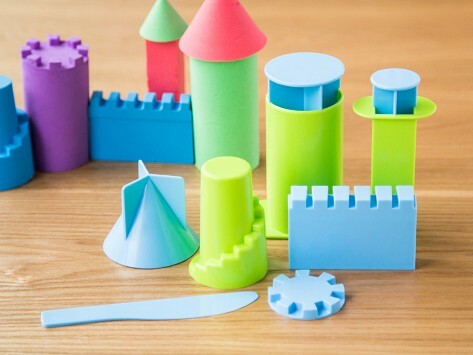 Build your own magical, kinetic kingdom with this castle mold. Then create your own towers, stairs, and stone walls to compliment the royal residence. Works very well with Mad Matter. Unique and fun to play with. 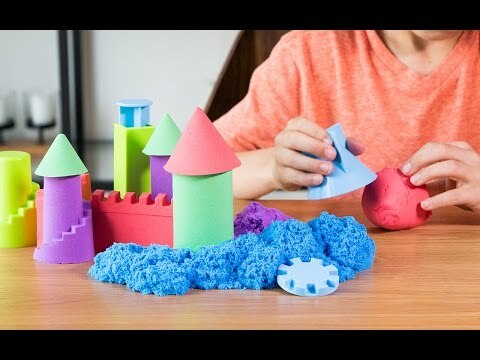 Is it therapy dough or moldable kinetic sand? Mad Mattr is both. Sculpt, stretch—even crumble—it and watch the texture change from sandy to silky soft in seconds. It feels kind of like wet sand but without any sticky residue. Stretch your creativity to build a mini masterpiece or simply knead to relax your senses. One of the most innovative properties of this dough is that it won’t dry out. You can leave a scoop on your desk to de-stress or display your most recent creation for days. Even though it was first designed to be therapeutic, Mad Mattr is also just plain fun. The potential for entertainment or distraction is right in your hands.